Dust proof, mouse proof, secure storage. Easy access to your storage container. Easy and convenient to load and unload. Dust Proof, Mouse Proof, Insect Proof, Fire Proof. FORT KNOX SELF STORAGE and RV PARKING LOT. MOUSE PROOF, HIGH SECURITY STORAGE CONTAINER UNITS for RENT in OUR yard. FIRST MONTH FREE RENT with a Four Month Contract! FORT KNOX SELF STORAGE and RV PARKING LOT is located FIVE MILES South East of Vernal, in Naples City, Utah, via US Highway 40. 2225 South 3250 East, Naples Utah. From the center of Vernal, Utah, drive 2 miles East on Vernal’s Main Street, which is US Highway 40, to Naples City. Continue South until you reach the Naples 7-11 on 2500 South. Turn Left between the 7-11 and the Subway Sandwich Shop. Then drive a FULL TWO MILES East on 2500 South, the road turns North, follow the Sign One Half Mile North to our Facility. All Sizes of our CONTAINERS have two HEAVY STEEL DOORS with Double Lip Rubber Seals. These CONEX SEA BOX Containers are Dust Proof, Mouse Proof, Insect Proof, Clean and ready to Store your Valuable Possessions for one Month or for several Years. All containers are approximately 8.0 Feet Wide by 8.0 Feet High. We offer the 20 Foot Long Containers for $120.00 a month. For an additional $60.00 per Month, we offer the 40 Foot Long Containers. MORE Take a closer looks at our STEEL STORAGE SHIPPING CONTAINERS. They are made of heavy gauge Steel with Large Water Proof Steel Doors. They are Clean and ready to Store your Valuable Possessions for one Month or for several Years. For the security of your Valuable Possessions, we RENT the 20-foot long and 40-foot long CONEX SEA BOX, STEEL SHIPPING CONTAINERS. 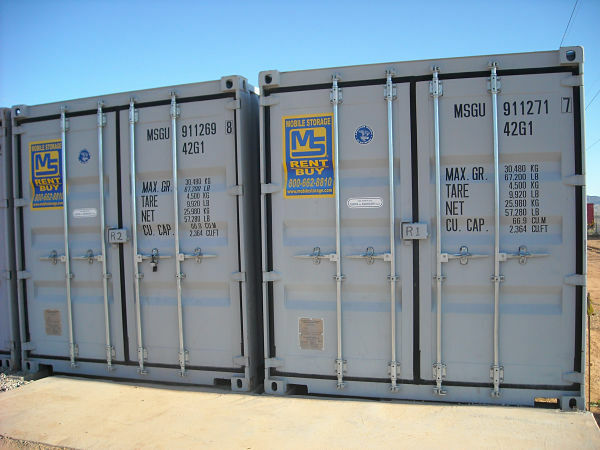 These Container/Storage Units are made of heavy gauge Steel with Large Water Proof Steel Doors. These Containers are Dust Proof, Mouse Proof, Insect Proof, Clean and ready to Store your Valuable Possessions for one Month or for several Years. To Schedule a visit, or to Reserve a Storage Container, please call JAMES RICHARDS, the Owner, at 435-828-7710, or Rebecca Richards at 435-828-7707. We also Offer OPEN PARKING SPACES for your Recreational Vehicles, Boats, Cars, Trucks, 4- Wheelers, Cargo Trailers, Snow Mobile Trailers, Industrial or Oil Field Equipment, etc. 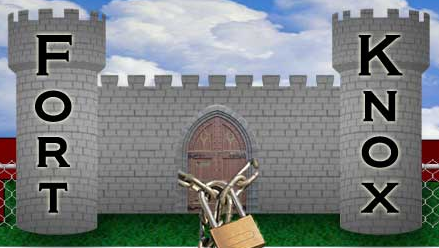 HIGH SECURITY STORAGE. Dust Proof, Mouse Proof, Insect Proof STORAGE UNITS. First month FREE with a Four Month Contract! 20' UNITS $120.00 per month. 40' UNITS $180.00 per month. NO DEPOSIT REQUIRED Normally holds goods of a full house. 30' PARKING SPACE $90.00 per month. Your rent is due on the 1st day of each month. © 2017 Fort Knox Self Storage. All Rights Reserved.